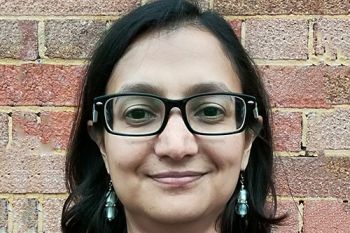 Snigdha Nag, a Senior Lecturer and Employment Law specialist in The City Law School, explores the recently delivered Employment Tribunal decision in the case of Uber drivers. On 28th October 2016, the Employment Tribunal delivered their decision in the Uber case where drivers sought to claim worker status (to obtain certain employment law rights). This case is the first big test of how the technology enabled ‘gig economy’ measures up to English employment laws. Uber, Deliveroo and Amazon are unprecedented successes in the digital marketplace. Savvy customers are seeking savings where they can be found, leading to the boom of the ‘gig economy’. If you’re an individual feeling the squeeze, you’d be forgiven if you turned a blind eye to how these (and other) companies achieve their competitive prices. How they classify and therefore treat the people who work with and for them is a key element of how prices are kept low. 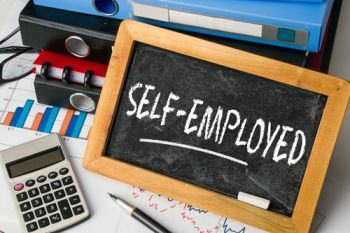 If you work in the UK, you are either self-employed, a ‘worker’, or an employee. The importance of your status is that it governs the rights you can expect to enjoy. For the company, it determines the cost, legal exposure and administrative burden for using that person’s services. Workers enjoy a decent level of protection, but employees have the most rights. Companies, predictably, would prefer their work to be done by the self-employed. The GMB union brought a test case against Uber on behalf of 17 drivers in the Employment Tribunal, arguing the drivers are workers. The Employment Tribunal, has accepted this, meaning the drivers accrue certain statutory rights, such as the maximum working week of 48 hours (on average), 5.6 weeks’ paid annual leave, rest breaks, weekend breaks and overnight breaks, national minimum/living wage, protection of ‘whistleblowers’, protection from unlawful deductions from their pay, and family friendly rights. To make its decision, the Employment Tribunal had to weigh up the facts and scrutinise the evidence carefully. A contract, if a sham (because it does not reflect reality) should be disregarded. This is a test of substance and not form. “Many Uber drivers (a substantial proportion of whom, we understand, do not speak English as their first language) will not be accustomed to reading and interpreting dense legal documents couched in impenetrable prose”. It appears the tribunal were unimpressed by Uber “resorting in its documentations to fictions, twisted language and even brand new terminology”. The tribunal remark that Uber’s main witness reminded them of Gertrude in Hamlet, quoting “The lady doth protest too much, methinks” in their judgment. The fact of there being “dependent work relationships” is critical. It should be noted that in the 10 seconds in which an available driver has to accept a job, s/he has no knowledge of the destination of the traveller. The tribunal further considered a number of ways in which drivers were controlled or regulated by Uber: drivers were recruited by Uber following an interview; the drivers had to have an acceptable model of vehicle, ideally in silver or black; the route to be taken was dictated by Uber with consequences for failing to do so; ratings from passengers have to be maintained at a suitably high level or discipline follows; the fare is fixed by Uber (with no discretion for either driver or passenger to set a higher fare). All suggesting a remarkable degree of control exerted by Uber, rather than drivers being in business on their own account. Interestingly, the fact Uber is a contemporary, up to the minute app, using technology to create work, attract customers and ensure payment, was largely irrelevant in this case. Many had thought the use of technology in the digital age would be a profound influence on the decision. However, the reality is more down to earth and mundane. The test of status of an individual draws from long established case law; piecework cases involving machinists from the late 70s and early 80s; observing the economic reality and level of risk entered into by the individual; mutuality of obligation and finally, the decades old concept of control. These principles are as useful today as they have always been. The ‘gig economy’ is a misnomer. The individuals working in this and similar industries must consider the reality of their situation, as their rights may be more extensive than the paperwork they signed may have suggested. Other Uber drivers may now bring their own claims for the rights of workers, and those employed under other digital business models may well find they are entitled to similar protection. Apps, technologically enabled methods of attracting work and what are now recognised as “typical” working hours, have changed immeasurably over the last 30 years. But the essential definition of a contract of employment remains; non-delegable service done by an individual for a company as per the acceptable standards imposed. Plus ça change, mais plus ça le même chose! The National Living Wage is a voluntary hourly rate set independently and updated annually. The Living Wage is calculated according to the basic cost of living in the UK. The current UK Living Wage is £8.25 an hour. The current London Living Wage is £9.40 an hour. Employers choose to pay the Living Wage on a voluntary basis.